Hindu philosophy refers to a group of darśanas (philosophies, world views, teachings) that emerged in ancient India. The mainstream Hindu philosophy includes six systems (ṣaḍdarśana) – Samkhya, Yoga, Nyaya, Vaisheshika, Mimamsa and Vedanta. These are also called the Astika (orthodox) philosophical traditions and are those that accept the Vedas as authoritative, important source of knowledge. [note 1][note 2] Ancient and medieval India was also the source of philosophies that share philosophical concepts but rejected the Vedas, and these have been called nāstika (heterodox or non-orthodox) Indian philosophies. Nāstika Indian philosophies include Buddhism, Jainism, Cārvāka, Ājīvika, and others. Scholars have debated the relationship and differences within āstika philosophies and with nāstika philosophies, starting with the writings of Indologists and Orientalists of the 18th and 19th centuries, which were themselves derived from limited availability of Indian literature and medieval doxographies. The various sibling traditions included in Hindu philosophies are diverse, and they are united by shared history and concepts, same textual resources, similar ontological and soteriological focus, and cosmology. While Buddhism and Jainism are considered distinct philosophies and religions, some heterodox traditions such as Cārvāka are often considered as distinct schools within Hindu philosophy. Hindu philosophy also includes several sub-schools of theistic philosophies that integrate ideas from two or more of the six orthodox philosophies, such as the realism of the Nyāya, the naturalism of the Vaiśeṣika, the dualism of the Sāṅkhya, the monism and knowledge of Self as essential to liberation of Advaita, the self-discipline of yoga and the asceticism and elements of theistic ideas. Examples of such schools include Pāśupata Śaiva, Śaiva siddhānta, Pratyabhijña, Raseśvara and Vaiṣṇava. Some sub-schools share Tantric ideas with those found in some Buddhist traditions. The ideas of these sub-schools are found in the Puranas and Āgamas. Each school of Hindu philosophy has extensive epistemological literature called pramāṇaśāstras, as well as theories on metaphysics, axiology and other topics. In the history of Hinduism, the six orthodox schools were in existence by sometime between the start of the Common Era and the Gupta Empire, or about the fourth century. Some scholars have questioned whether the orthodox and heterodox schools classification is sufficient or accurate, given the diversity and evolution of views within each major school of Hindu philosophy, with some sub-schools combining heterodox and orthodox views. Nyāya or logic, explores sources of knowledge. Nyāya Sūtras. Vedānta, the last segment of knowledge in the Vedas, or jñānakāṇḍa. 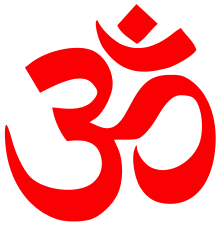 Vedānta came to be the dominant current of Hinduism in the post-medieval period. The above sub-schools introduced their own ideas while adopting concepts from orthodox schools of Hindu philosophy such as realism of the Nyāya, naturalism of Vaiśeṣika, monism and knowledge of Self (Atman) as essential to liberation of Advaita, sel- discipline of Yoga, asceticism and elements of theistic ideas. Some sub-schools share Tantric ideas with those found in some Buddhist traditions. 1 2 3 Advaita, Vishishtadvaita and Dvaita have evolved from an older Vedanta school and all of them accept Upanishads and Brahma Sutras as standard texts. Epistemology is called pramāṇa. It is a key, much debated field of study in Hinduism since ancient times. Pramāṇa is a Hindu theory of knowledge and discusses means by which human beings gain accurate knowledge. The focus of pramāṇa is how correct knowledge can be acquired, how one knows, how one doesn't, and to what extent knowledge pertinent about someone or something can be acquired. Ancient and medieval Hindu texts identify six pramāṇas as correct means of accurate knowledge and truths: pratyakṣa (perception), anumāṇa (inference), upamāṇa (comparison and analogy), arthāpatti (postulation, derivation from circumstances), anupalabdi (non-perception, negative/cognitive proof) and śabda (word, testimony of past or present reliable experts) Each of these are further categorized in terms of conditionality, completeness, confidence and possibility of error, by each school . The various schools vary on how many of these six are valid paths of knowledge. For example, the Cārvāka nāstika philosophy holds that only one (perception) is an epistemically reliable means of knowledge, the Samkhya school holds three are (perception, inference and testimony), while the Mīmāṃsā and Advaita schools hold all six are epistemically useful and reliable means to knowledge. Samkhya is the oldest of the orthodox philosophical systems in Hinduism, with origins in the 1st millennium BCE. It is a rationalist school of Indian philosophy, and had a strong influence on other schools of Indian philosophies. Sāmkhya is an enumerationist philosophy whose epistemology accepted three of six Pramanas as the only reliable means of gaining knowledge. These included Pratyakṣa (perception), Anumāṇa (inference) and Sabda (Āptavacana, word/testimony of reliable sources). Samkhya school espouses dualism between consciousness and matter. It regards the universe as consisting of two realities; Puruṣa (consciousness) and prakriti (matter). Jiva (a living being) is that state in which puruṣa is bonded to prakriti in some form. This fusion, state the Samkhya scholars, led to the emergence of buddhi (awareness, intellect) and ahankara (individualized ego consciousness, “I-maker”). The universe is described by this school as one created by Purusa-Prakriti entities infused with various permutations and combinations of variously enumerated elements, senses, feelings, activity and mind. Samkhya philosophy includes a theory of gunas (qualities, innate tendencies, psyche). Guna, it states, are of three types: Sattva being good, compassionate, illuminating, positive, and constructive; Rajas guna is one of activity, chaotic, passion, impulsive, potentially good or bad; and Tamas being the quality of darkness, ignorance, destructive, lethargic, negative. Everything, all life forms and human beings, state Samkhya scholars, have these three gunas, but in different proportions. The interplay of these gunas defines the character of someone or something, of nature and determines the progress of life. Samkhya theorises a pluralism of souls (Jeevatmas) who possess consciousness, but denies the existence of Ishvara (God). Classical Samkhya is considered an atheist / non-theistic Hindu philosophy. From the triad of suffering, arises this inquiry into the means of preventing it. The soteriology in Samkhya aims at the realization of Puruṣa as distinct from Prakriti, this knowledge of the Self is held to end transmigration and lead to absolute freedom (kaivalya). In Indian philosophy, Yoga is among other things, the name of one of the six āstika philosophical schools. The Yoga philosophical system is closely allied with the dualism premises of Samkhya school. The Yoga school accepts the Samkhya psychology and metaphysics, but is considered theistic because it accepts the concept of "personal god", unlike Samkhya. The epistemology of the Yoga school, like the Sāmkhya school, relies on three of six prāmaṇas as the means of gaining reliable knowledge: pratyakṣa (perception), anumāṇa (inference) and śabda (āptavacana, word/testimony of reliable sources). The universe is conceptualized as a duality in Yoga school: puruṣa (consciousness) and prakṛti (matter); however, the Yoga school discusses this concept more generically as "seer, experiencer" and "seen, experienced" than the Samkhya school. A key text of the Yoga school is the Yoga Sutras of Patanjali. Patanjali may have been, as Max Müller explains, "the author or representative of the Yoga-philosophy without being necessarily the author of the Sutras." Hindu philosophy recognizes many types of Yoga, such as rāja yoga, jnana yoga, karma yoga, bhakti yoga, tantra yoga, mantra yoga, laya yoga, and hatha yoga. The Yoga school builds on the Samkhya school theory that jñāna (knowledge) is a sufficient means to moksha. It suggests that systematic techniques/practice (personal experimentation) combined with Samkhya's approach to knowledge is the path to moksha. Yoga shares several central ideas with Advaita Vedanta, with the difference that Yoga is a form of experimental mysticism while Advaita Vedanta is a form of monistic personalism. Like Advaita Vedanta, the Yoga school of Hindu philosophy states that liberation/freedom in this life is achievable, and this occurs when an individual fully understands and realizes the equivalence of Atman (soul, self) and Brahman. Dharma is that from which results the accomplishment of Exaltation and of the Supreme Good. The authoritativeness of the Veda arises from its being an exposition of dharma. The Supreme Good results from knowledge, produced from a particular dharma, of the essence of the Predicables, Substance, Attribute, Action, Genus, Species and Combination, by means of their resemblances and differences. The Vaiśeṣika school is related to the Nyāya school but features differences in its epistemology, metaphysics and ontology. The epistemology of the Vaiśeṣika school, like Buddhism, accepted only two reliable means to knowledge - perception and inference. The Vaiśeṣika school and Buddhism both consider their respective scriptures as indisputable and valid means to knowledge, the difference being that the scriptures held to be a valid and reliable source by Vaiśeṣikas were the Vedas. Vaiśeṣika metaphysical premises are founded on a form of atomism, that the reality is composed of four substances (earth, water, air, fire). Each of these four are of two types: atomic (paramāṇu) and composite. An atom is, according to Vaiśeṣika scholars, that which is indestructible (anitya), indivisible, and has a special kind of dimension, called “small” (aṇu). A composite, in this philosophy, is defined to be anything which is divisible into atoms. Whatever human beings perceive is composite, while atoms are invisible. The Vaiśeṣikas stated that size, form, truths and everything that human beings experience as a whole is a function of atoms, their number and their spatial arrangements, their guṇa (quality), karma (activity), sāmānya (commonness), viśeṣa (particularity) and amavāya (inherence, inseparable connectedness of everything). The Nyāya school is a realist āstika philosophy. This school's most significant contributions to Indian philosophy was systematic development of the theory of logic, methodology, and its treatises on epistemology. The foundational text of Nyāya school is the Nyāya Sūtras of the first millennium BCE. It is credited to Aksapada Gautama and variously dated to have been composed somewhere from the sixth century to the second century BCE. Nyāya epistemology accepts four out of six prāmaṇas as reliable means of gaining knowledge – pratyakṣa (perception), anumāṇa (inference), upamāṇa (comparison and analogy) and śabda (word, testimony of past or present reliable experts). Perception, Inference, Comparison and Word – these are the means of right knowledge. Perception is that knowledge which arises from the contact of a sense with its object and which is determinate, unnameable and non-erratic. Inference is knowledge which is preceded by perception, and is of three kinds: a priori, a posteriori, and commonly seen. Comparison is the knowledge of a thing through its similarity to another thing previously well known. Word is the instructive assertion of a reliable person. It [knowledge] is of two kinds: that which is seen, and that which is not seen. Soul, body, senses, objects of senses, intellect, mind, activity, fault, transmigration, fruit, suffering and release – are the objects of right knowledge. The Mīmāṃsā school emphasized hermeneutics and exegesis. It is a form of philosophical realism. Key texts of the Mīmāṃsā school are the Purva Mimamsa Sutras of Jaimini. The classical Mīmāṃsā school is sometimes referred to as pūrvamīmāṃsā or Karmamīmāṃsā in reference to the first part of the Vedas. The Mīmāṃsā school has several subschools defined by epistemology. The Prābhākara subschool of Mīmāṃsā considered five epistemically reliable means to gaining knowledge: pratyakṣa (perception), anumāṇa (inference), upamāṇa (comparison and analogy), arthāpatti (postulation, derivation from circumstances), and śabda (word, testimony of past or present reliable experts). The Kumārila Bhaṭṭa sub-school of Mīmāṃsā added sixth to its canon of reliable epistemology - anupalabdi (non-perception, negative/cognitive proof). The metaphysics in Mīmāṃsā school consists of both atheistic and theistic doctrines and the school showed little interest in systematic examination of the existence of God. Rather, it held that the soul is eternal omnipresent, inherently active spiritual essence, then focussed on the epistemology and metaphysics of dharma. To them, dharma meant rituals and duties, not devas (gods), because devas existed only in name. The Mīmāṃsākas held that the Vedas are "eternal authorless infallible", that Vedic vidhi (injunctions) and mantras in rituals are prescriptive karya (actions), and the rituals are of primary importance and merit. They considered the Upanishads and other self-knowledge, spirituality-related texts to be of secondary importance, a philosophical view that the Vedanta school disagreed with. Mīmāṃsā gave rise to the study of philology and the philosophy of language. While their deep analysis of language and linguistics influenced other schools, their views were not shared by others. Mīmāṃsākas considered the purpose and power of language was to clearly prescribe the proper, correct and right. In contrast, Vedantins extended the scope and value of language as a tool to also describe, develop and derive. Mīmāṃsākas considered orderly, law-driven, procedural life as central purpose and noblest necessity of dharma and society, and divine (theistic) sustenance means to that end. The Mimamsa school was influential and foundational to the Vedanta school, with the difference that Mīmāṃsā school developed and emphasized karmakāṇḍa (that part of the śruti which relates to ceremonial acts and sacrificial rites, the early parts of the Vedas), while the Vedanta school developed and emphasized jñānakāṇḍa (that portion of the Vedas which relates to knowledge of monism, the latter parts of the Vedas). The Vedānta school built upon the teachings of the Upanishads and Brahma Sutras from the first millennium BCE and is the most developed and well-known of the Hindu schools. The epistemology of the Vedantins included, depending on the sub-school, five or six methods as proper and reliable means of gaining any form of knowledge: pratyakṣa (perception), anumāṇa (inference), upamāṇa (comparison and analogy), arthāpatti (postulation, derivation from circumstances), anupalabdi (non-perception, negative/cognitive proof) and śabda (word, testimony of past or present reliable experts). Each of these have been further categorized in terms of conditionality, completeness, confidence and possibility of error, by each sub-school of Vedanta. The emergence of Vedanta school represented a period when a more knowledge-centered understanding began to emerge. These focussed on jnana (knowledge) driven aspects of the Vedic religion and the Upanishads. This included metaphysical concepts such as ātman and Brahman, and emphasized meditation, self-discipline, self-knowledge and abstract spirituality, rather than ritualism. The Upanishads were variously interpreted by ancient and medieval era Vedanta scholars. Consequently, the Vedanta separated into many sub-schools, ranging from theistic dualism to non-theistic monism, each interpreting the texts in its own way and producing its own series of sub-commentaries. Advaita literally means "not two, sole, unity". It is a sub-school of Vedanta, and asserts spiritual and universal non-dualism. Its metaphysics is a form of absolute monism, that is all ultimate reality is interconnected oneness. This is the oldest and most widely acknowledged Vedantic school. The foundational texts of this school are the Brahma Sutras and the early Upanishads from the 1st millennium BCE. Its first great consolidator was the 8th century scholar Adi Shankara, who continued the line of thought of the Upanishadic teachers, and that of his teacher's teacher Gaudapada. He wrote extensive commentaries on the major Vedantic scriptures and is celebrated as one of the major Hindu philosophers from whose doctrines the main currents of modern Indian thought are derived. According to this school of Vedanta, all reality is Brahman, and there exists nothing whatsoever which is not Brahman. Its metaphysics includes the concept of māyā and ātman. Māyā connotes "that which exists, but is constantly changing and thus is spiritually unreal". The empirical reality is considered as always changing and therefore "transitory, incomplete, misleading and not what it appears to be". The concept of ātman is of soul, self within each person, each living being. Advaita Vedantins assert that ātman is same as Brahman, and this Brahman is within each human being and all life, all living beings are spiritually interconnected, and there is oneness in all of existence. They hold that dualities and misunderstanding of māyā as the spiritual reality that matters is caused by ignorance, and are the cause of sorrow, suffering. Jīvanmukti (liberation during life) can be achieved through Self-knowledge, the understanding that ātman within is same as ātman in another person and all of Brahman – the eternal, unchanging, entirety of cosmic principles and true reality. Ramanuja (c. 1037–1137) was the foremost proponent of the philosophy of Viśiṣṭādvaita or qualified non-dualism. Viśiṣṭādvaita advocated the concept of a Supreme Being with essential qualities or attributes. Viśiṣṭādvaitins argued against the Advaitin conception of Brahman as an impersonal empty oneness. They saw Brahman as an eternal oneness, but also as the source of all creation, which was omnipresent and actively involved in existence. To them the sense of subject-object perception was illusory and a sign of ignorance. However, the individual's sense of self was not a complete illusion since it was derived from the universal beingness that is Brahman. Ramanuja saw Vishnu as a personification of Brahman. Dvaita refers to a theistic sub-school in Vedanta tradition of Hindu philosophy. Also called as Tattvavāda and Bimbapratibimbavāda, the Dvaita sub-school was founded by the 13th-century scholar Madhvacharya. The Dvaita Vedanta school believes that God (Vishnu, supreme soul) and the individual souls (jīvātman) exist as independent realities, and these are distinct. Dvaita Vedanta is a dualistic interpretation of the Vedas, espouses dualism by theorizing the existence of two separate realities. The first and the only independent reality, states the Dvaita school, is that of Vishnu or Brahman. Vishnu is the supreme Self, in a manner similar to monotheistic God in other major religions. The distinguishing factor of Dvaita philosophy, as opposed to monistic Advaita Vedanta, is that God takes on a personal role and is seen as a real eternal entity that governs and controls the universe. Like Vishishtadvaita Vedanta subschool, Dvaita philosophy also embraced Vaishnavism, with the metaphysical concept of Brahman in the Vedas identified with Vishnu and the one and only Supreme Being. However, unlike Vishishtadvaita which envisions ultimate qualified nondualism, the dualism of Dvaita was permanent. Salvation, in Dvaita, is achievable only through the grace of God Vishnu. Dvaitādvaita was proposed by Nimbarka, a 13th-century Vaishnava Philosopher from the Andhra region. According to this philosophy there are three categories of existence: Brahman, soul, and matter. Soul and matter are different from Brahman in that they have attributes and capacities different from Brahman. Brahman exists independently, while soul and matter are dependent. Thus soul and matter have an existence that is separate yet dependent. Further, Brahman is a controller, the soul is the enjoyer, and matter the thing enjoyed. Also, the highest object of worship is Krishna and his consort Radha, attended by thousands of gopis; of the Vrindavan; and devotion consists in self-surrender. Śuddhādvaita is the "purely non-dual" philosophy propounded by Vallabha Acharya (1479–1531). The founding philosopher was also the guru of the Vallabhā sampradāya ("tradition of Vallabh") or Puṣṭimārga, a Vaishnava tradition focused on the worship of Krishna. Vallabhacharya enunciates that Brahman has created the world without connection with any external agency such as Māyā (which itself is His power) and manifests Himself through the world. That is why Shuddhadvaita is known as ‘Unmodified transformation’ or ‘Avikṛta Pariṇāmavāda’. Brahman or Ishvara desired to become many, and he became the multitude of individual souls and the world. The Jagat or Maya is not false or illusionary, the physical material world is. Vallabha recognises Brahman as the whole and the individual as a ‘part’ (but devoid of bliss) like sparks and fire. Chaitanya Mahaprabhu (1486–1534), stated that the soul or energy of God is both distinct and non-distinct from God, whom he identified as Krishna, Govinda, and that this, although unthinkable, may be experienced through a process of loving devotion (bhakti). He followed the Dvaita concept of Madhvacharya. This philosophy of "inconceivable oneness and difference". The Cārvāka school is one of the nāstika or "heterodox" philosophies . It rejects supernaturalism, emphasizes materialism and philosophical skepticism, holding empiricism, perception and conditional inference as the proper source of knowledge Cārvāka is an atheistic school of thought. It holds that there is neither afterlife nor rebirth, all existence is mere combination of atoms and substances, feelings and mind are an epiphenomenon, and free will exists. Bṛhaspati is sometimes referred to as the founder of Cārvāka (also called Lokayata) philosophy. Much of the primary literature of Carvaka, the Barhaspatya sutras (ca. 600 BCE), however, are missing or lost. Its theories and development has been compiled from historic secondary literature such as those found in the shastras, sutras and the Indian epic poetry as well as from the texts of Buddhism and from Jain literature. One of the widely studied principles of Cārvāka philosophy was its rejection of inference as a means to establish valid, universal knowledge, and metaphysical truths. In other words, the Cārvāka epistemology states that whenever one infers a truth from a set of observations or truths, one must acknowledge doubt; inferred knowledge is conditional. Pāśupata Shaivism (Pāśupata, "of Paśupati") is the oldest of the major Shaiva schools. The philosophy of Pashupata sect was systematized by Lakulish in the 2nd century CE. Paśu in Paśupati refers to the effect (or created world), the word designates that which is dependent on something ulterior. Whereas, Pati means the cause (or principium), the word designates the Lord, who is the cause of the universe, the pati, or the ruler. Pashupatas disapproved of Vaishnava theology, known for its doctrine servitude of souls to the Supreme Being, on the grounds that dependence upon anything could not be the means of cessation of pain and other desired ends. They recognised that those depending upon another and longing for independence will not be emancipated because they still depend upon something other than themselves. According to Pāśupatas, soul possesses the attributes of the Supreme Deity when it becomes liberated from the 'germ of every pain'. Pāśupatas divided the created world into the insentient and the sentient. The insentient was the unconscious and thus dependent on the sentient or conscious. The insentient was further divided into effects and causes. The effects were of ten kinds, the earth, four elements and their qualities, colour etc. The causes were of thirteen kinds, the five organs of cognition, the five organs of action, the three internal organs, intellect, the ego principle and the cognising principle. These insentient causes were held responsible for the illusive identification of Self with non-Self. Salvation in Pāśupata involved the union of the soul with God through the intellect. ↑ M Chadha (2015), in The Routledge Handbook of Contemporary Philosophy of Religion, states that Vedas were knowledge source but interpreted differently by different schools of Hindu philosophy: "The sacred texts of the Hindus, the Vedas, are variously interpreted by the six traditional Hindu philosophical schools. Even within a single school, philosophers disagree on the import of Vedic statements. (...) Hindu intellectual traditions must be understood as standing for the collection of philosophical views that share a textual connection. There is no single, comprehensive philosophical doctrine shared by all intellectual traditions in Hinduism that distinguishes their view from other Indian religions such as Buddhism or Jainism on issues of epistemology, metaphysics, logic, ethics or cosmology. The Vedas are regarded as Apauruseya, but by the same token, they are not the Word of God either. ↑ For an overview of the six orthodox schools, with detail on the grouping of schools, see: Radhakrishnan and Moore, "Contents", and pp. 453–487. ↑ Frazier, Jessica (2011). The Continuum companion to Hindu studies. London: Continuum. pp. 1–15. ISBN 978-0-8264-9966-0. ↑ R Thomas (2014), Hindu Perspectives on Evolution: Darwin, Dharma, and Design. Sociology of Religion, Vol. 75, No. 1, pages 164-165, Quote: "some of the ancient Hindu traditions like Carvaka have a rich tradition of materialism, in general, other schools..."
1 2 Flood 1996, pp. 132-136, 162-169, 231-232. 1 2 Potter 1991, p. 172. 1 2 Guttorm Fløistad 1993, p. 137-154. ↑ Potter 1991, p. 98-102. 1 2 Nicholson, Andrew J. (2014). Unifying Hinduism: philosophy and identity in Indian intellectual history. New York: Columbia University Press. ISBN 9780231149877. John C. Plott et al (2000), Global History of Philosophy: The Axial Age, Volume 1, Motilal Banarsidass, ISBN 978-8120801585, page 63, Quote: "The Buddhist schools reject any Ātman concept. As we have already observed, this is the basic and ineradicable distinction between Hinduism and Buddhism"
↑ King 2007, p. 45. 1 2 Lochtefeld 2002, p. 520-521. 1 2 3 4 Flood 1996, p. 225. 1 2 3 4 5 6 7 8 9 Grimes 1989, p. 238. 1 2 3 4 5 Perrett 2000, pp. 245-248. ↑ Flood 1996, pp. 232. ↑ Haney, William S., Culture and Consciousness: Literature Regained, Bucknell University Press (1 August 2002). P. 42. ISBN 1611481724. ↑ Dasgupta, Surendranath (1992). A history of Indian philosophy, Volume 1. Motilal Banarsidass Publ. p. 258. ISBN 978-81-208-0412-8. ↑ Larson, Gerald James. Classical Sāṃkhya: An Interpretation of Its History and Meaning. Motilal Banarasidass, 1998. P. 13. ISBN 81-208-0503-8. ↑ For a brief overview of the Yoga school of philosophy see: Chatterjee and Datta, p. 43. ↑ Chatterjee and Datta, p. 43. ↑ Radhakrishnan, S.; Moore, CA (1967). A Sourcebook in Indian Philosophy. Princeton. p. 453. ISBN 0-691-01958-4. ↑ Müller (1899), Chapter 7, "Yoga Philosophy", p. 104. ↑ Phillips, Stephen H. (1995). Classical Indian Metaphysics: Refutations of Realism and the Emergence of "New Logic". Open Court Publishing. pp. 12–13. ↑ Mike McNamee and William J. Morgan (2015), Routledge Handbook of the Philosophy, Routledge, ISBN 978-0415829809, pages 135-136, Quote: "As a dualistic philosophy largely congruent with Samkhya's metaphysics, Yoga seeks liberation through the realization that Atman equals Brahman; it involves a cosmogonic dualism: purusha an absolute consciousness, and prakriti original and primeval matter." 1 2 3 4 Oliver Leaman, Key Concepts in Eastern Philosophy. Routledge, ISBN 978-0415173629, 1999, page 269. ↑ Grimes 1989, p. 225. ↑ Flood 1996, pp. 221-227. ↑ Neville, Robert (2001). Religious truth. SUNY Press. ↑ Worthington, Vivian (1982). A history of yoga. Routledge. p. 66. 1 2 Flood 1996, pp. 239-244. ↑ Christopher Etter (30 April 2006). A Study of Qualitative Non-Pluralism. iUniverse. pp. 62–63. ISBN 978-0-595-39312-1. 1 2 3 4 5 Jeaneane D. Fowler (2002). Perspectives of Reality: An Introduction to the Philosophy of Hinduism. Sussex Academic Press. pp. 340–344. ISBN 978-1-898723-94-3. ↑ Hindu Philosophy, IEP, Quote: "Dvaita: Madhva is one of the principal theistic exponents of Vedānta. On his account, Brahman is a personal God, and specifically He is the Hindu deity Viṣṇu. 1 2 Jeaneane D. Fowler (2002). Perspectives of Reality: An Introduction to the Philosophy of Hinduism. Sussex Academic Press. pp. 238–243, 288–293, 340–343. ISBN 978-1-898723-94-3. ↑ Christopher Etter (2006), A Study of Qualitative Non-Pluralism, iUniverse, pp. 59-60, ISBN 0-595-39312-8. ↑ Bryant, Edwin (2007). Krishna : A Sourcebook (Chapter 15 by Deepak Sarma). Oxford University Press. p. 358. ISBN 978-0195148923. ↑ Stoker, Valerie (2011). "Madhva (1238-1317)". Internet Encyclopedia of Philosophy. Retrieved 29 February 2016. ↑ Sharma, B. N. Krishnamurti (1962). Philosophy of Śrī Madhvācārya. Motilal Banarsidass (2014 Reprint). pp. 417–424. ISBN 978-8120800687. ↑ Sharma, Chandradhar (1994). A Critical Survey of Indian Philosophy. Motilal Banarsidass. p. 373. ISBN 81-208-0365-5. ↑ Devarshi Ramanath Shastri, “Shuddhadvaita Darshan (Vol.2)”, Published by Mota Mandir, Bhoiwada, Mumbai, India, 1917. ↑ “Brahmavād Saṅgraha”, Pub. Vaishnava Mitra Mandal Sarvajanik Nyasa, Indore, India, 2014. ↑ Lord Chaitanya (krishna.com) "This is called acintya-bheda-abheda-tattva, inconceivable, simultaneous oneness and difference." ↑ R Thomas (2014), Hindu Perspectives on Evolution: Darwin, Dharma, and Design, Sociology of Religion, Vol. 75, No. 1, pages 164-165, Quote: "some of the ancient Hindu traditions like Carvaka have a rich tradition of materialism, in general, other schools..."
1 2 3 Radhakrishnan, Sarvepalli and Moore, Charles (1957). A Source Book in Indian Philosophy. Princeton University Press. pp. 227–249. ISBN 0-691-01958-4. ↑ Bhattacharya, Ramakrishna (2002). "Cārvāka Fragments: A New Collection". Journal of Indian Philosophy. 30 (=6): 597–640. ↑ Cowell, E. B.; Gough, A. E. (1882). The Sarva-Darsana-Samgraha or Review of the Different Systems of Hindu Philosophy. pp. 5–7. ↑ Tattwananda, Swami (1984), Vaisnava Sects, Saiva Sects, Mother Worship (First Revised ed. ), Calcutta: Firma KLM Private Ltd., p. 45 . ↑ Flood 1996, p. 86. ↑ Chakravarti, Mahadev (1994), The Concept of Rudra-Śiva Through The Ages (Second Revised ed. ), Delhi: Motilal Banarsidass, p. 9, ISBN 81-208-0053-2 . ↑ Cowell and Gough (1882), p. xii. ↑ Flood (2003), p. 206. ↑ Cowell and Gough (1882), p. 104-105. ↑ Xavier Irudayaraj,"Saiva Siddanta," in the St. Thomas Christian Encyclopaedia of India, Ed. George Menachery, Vol.III, 2010, pp.10 ff. ↑ Xavier Irudayaraj, "Self Understanding of Saiva Siddanta Scriptures" in the St. Thomas Christian Encyclopaedia of India, Ed. George Menachery, Vol.III, 2010, pp.14 ff. ↑ Flood (2006), p. 120. ↑ Flood (2006), p. 122. ↑ Flood 1996, p. 168. 1 2 Dyczkowski, p. 51. ↑ Singh, Jaideva. Pratyãbhijñahṛdayam. Moltilal Banarsidass, 2008. PP. 24–26. ↑ Mishra, K. Kashmir Saivism, The Central Philosophy of Tantrism. PP. 330–334. Chatterjee, Satischandra; Datta, Dhirendramohan (1984). An Introduction to Indian Philosophy (Eighth Reprint ed.). Calcutta: University of Calcutta. Cowell, E. B.; Gough, A. E. (1882). The Sarva-Darsana-Samgraha or Review of the Different Systems of Hindu Philosophy: Trubner's Oriental Series. Taylor & Francis. ISBN 978-0-415-24517-3. Dyczkowski, Mark S. G. (1987). The Doctrine of Vibration: An Analysis of the Doctrines and Practices of Kashmir Shaivism. Albany, New York: State University of New York Press. ISBN 0-88706-432-9. Guttorm Fløistad (28 February 1993). Philosophie asiatique/Asian philosophy. Springer Netherlands. ISBN 978-0-7923-1762-3. Flood, Gavin (1996). An Introduction to Hinduism. Cambridge University Press. ISBN 978-0-521-43878-0. Flood, Gavin (Editor) (2003). The Blackwell Companion to Hinduism. Malden, MA: Blackwell Publishing Ltd. ISBN 1-4051-3251-5. Flood, Gavin (2005). The Tantric Body: The Secret Tradition of Hindu Religion. I. B. Tauris. ISBN 1845110110. Grimes, John A. (1989). A Concise Dictionary of Indian Philosophy: Sanskrit Terms Defined in English. SUNY Press. ISBN 978-0-7914-0100-2. Lochtefeld, James G. (2002). The Illustrated Encyclopedia of Hinduism: N-Z. The Rosen Publishing Group. ISBN 978-0-8239-3180-4. Müeller, Max (1899). Six Systems of Indian Philosophy; Samkhya and Yoga, Naya and Vaiseshika. Calcutta: Susil Gupta (India) Ltd. ISBN 0-7661-4296-5. Reprint edition; Originally published under the title of The Six Systems of Indian Philosophy. Perrett, Roy W. (2000). Philosophy of Religion. Taylor & Francis. ISBN 978-0-8153-3611-2. Potter, Karl H. (1991). Presuppositions of India's Philosophies. Motilal Banarsidass Publishe. ISBN 978-81-208-0779-2. Wikimedia Commons has media related to Hindu philosophy.